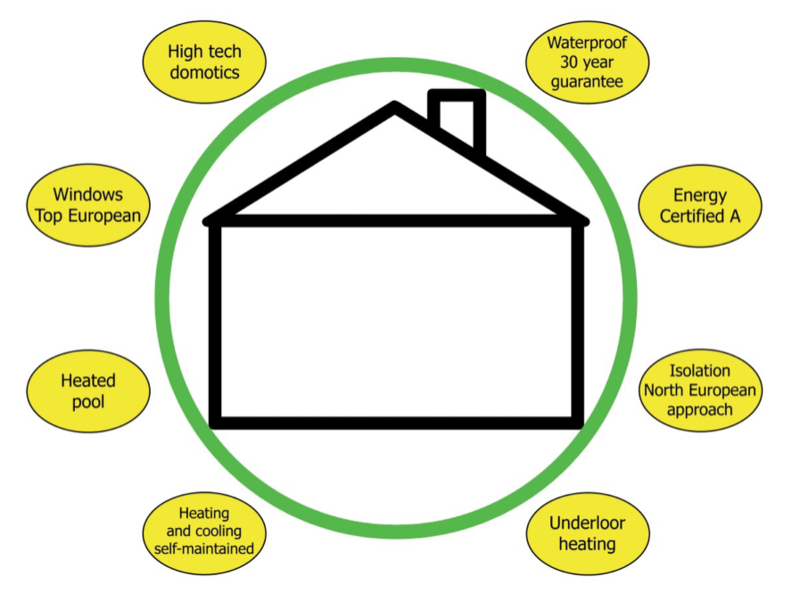 An Efficient Energy construction is possible, considering different construction methods, where at the end, we obtain a climate comfortable and high-tech home with extremely low overheads. If standard construction methods are applied, this will be very difficult to achieve, but if innovation is implemented, then a very interesting and surprising end product is created. The main difference from conventional standards can be found using: design, equipment, building and planning, as a package. In northern Europe the quality of the market is higher where old building methods have the time passed by. Once finished, these hidden construction items, are almost not seen anymore, but make an enormous difference in the home comfort at the end. Not all end users do understand the difference and are surprised once using the home where lack of comfort is appreciated. Heating in Andalucia in winter! : it is not cold and it does not rain. 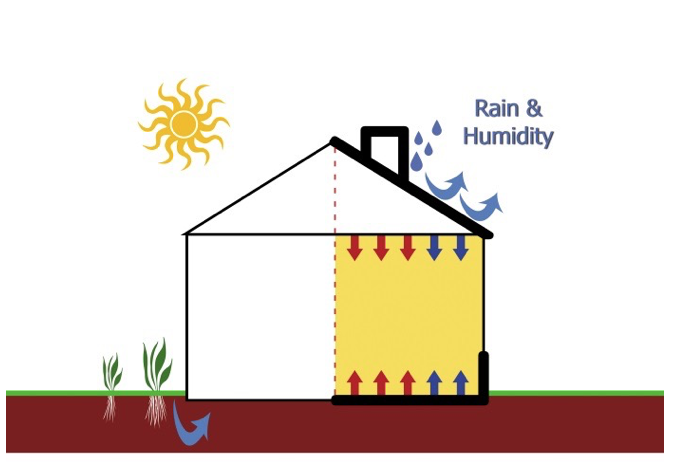 This is a wrong approach, as it rains very heavily and homes get very humid and moisture. Wish a comfortable home so some kind of heating is needed. A classical existing villa needs a heating systems are used for a home cost will be an issue. Quality construction at a reasonable price!! After all, the quality of a home is inseparable from our inner balance, our health, humor, economy and our potential to achieve. In Northern Europe, this has long been regarded as one of the most important pillars of a style of living, a lifestyle, but so far the southern Spaniards have been lagging a little behind. 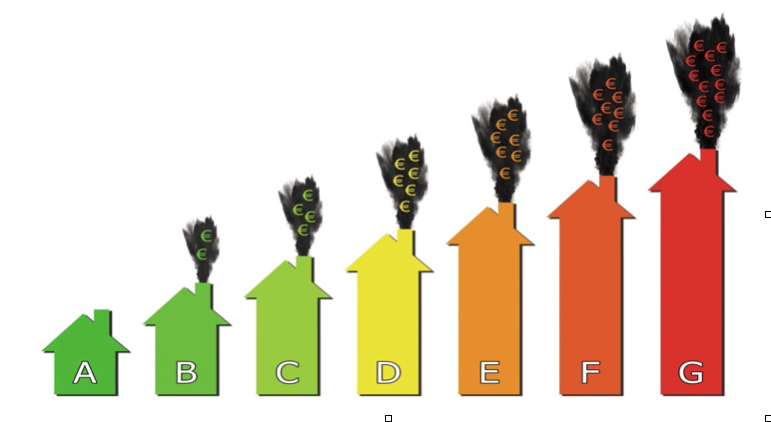 But the time is ripe for a rethink, and now Spain, too, is ready for sustainable changes to the home. It is vitally important to seek the assistance of a professional; someone who with his specialist knows how is able to create a comfortable home that also includes the relevant technological gadgets that make household maintenance and life itself so much easier. The cost for an alternative construction will not be much higher than standard construction. The budget is simply differently invested in the home, but with drastically changes once it is running. Of course, everything comes at a price, so precaution is asked when eyeing up a beautiful classical villa. The overheads can be overwhelming! Differentiation makes dreams come true and there is no denying that clients have become more demanding in recent years, where a house in not good enough, comfort is requested under a reasonable price. All in all, it is really just a question of putting the pieces of the jigsaw together. Southern Spain mostly uses traditional construction systems that have worked for many years, but times change and innovation is required. A nice presentation, with views, also known as a “good location” is very important, but there is also a need to look into the interior. Some nice architectural details and nicely presented is a very common case, but clients due also have other concerns.